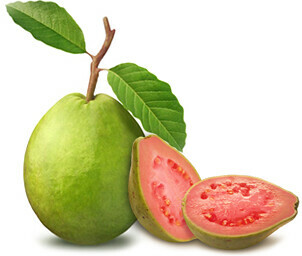 - Guavas are beneficial in regulating blood pressure. It is said that one guava contains almost a similar amount of potassium that's present in bananas. Potassium reverses the effects of sodium, thereby regulating the balance of blood pressure. Also, it reduces cholesterol levels in the blood by preventing it from thickening. - Even though guavas don't contain iodine, they are still beneficial in promoting healthy thyroid function, because it contains copper, which aids the production and absorption of hormones. What are benefits of walnuts?